My first time using micro balloons and epoxy mix. I used 30 min epoxy and found I had to mix the balloons a little thicker and also keep flipping the fuse so it wouldn't run and puddle for 30 minutes. 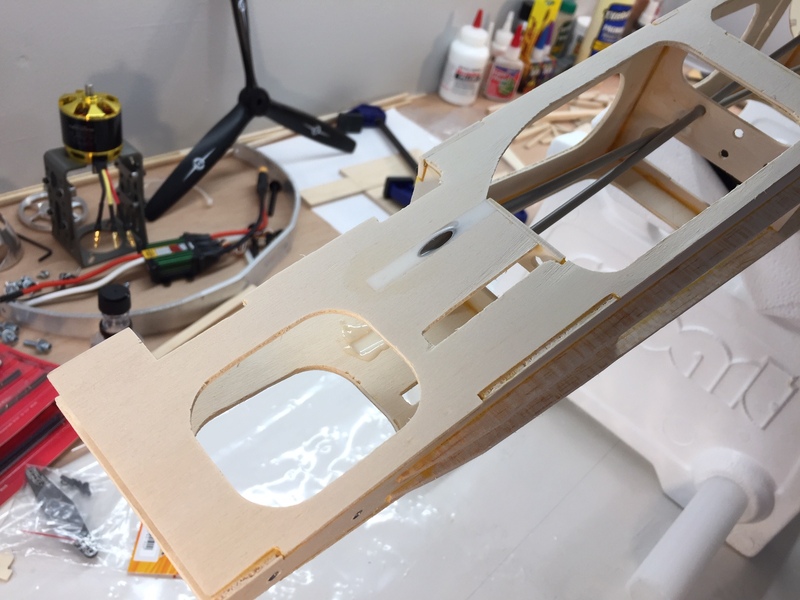 I think next time I will try 5 min epoxy, especially for a non structural fill as it will set faster and wont run. I just need to cut the tubes and sand smooth now. 5 minute epoxy is my go to when working with micro balloons. 30 minute while technically stronger takes WAY too long to cure of filling work IMHO. 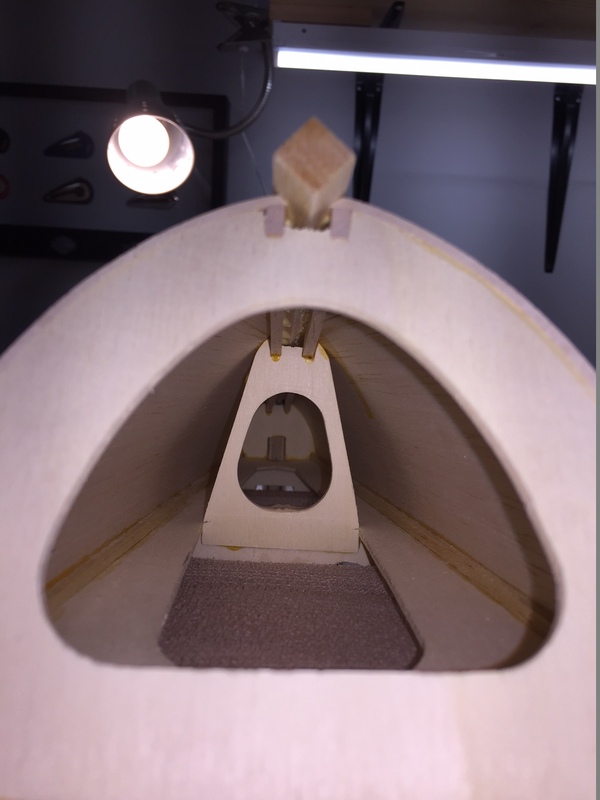 Since most of the radius work that you will use micro balloons for is non structural 5 minute is just fine. 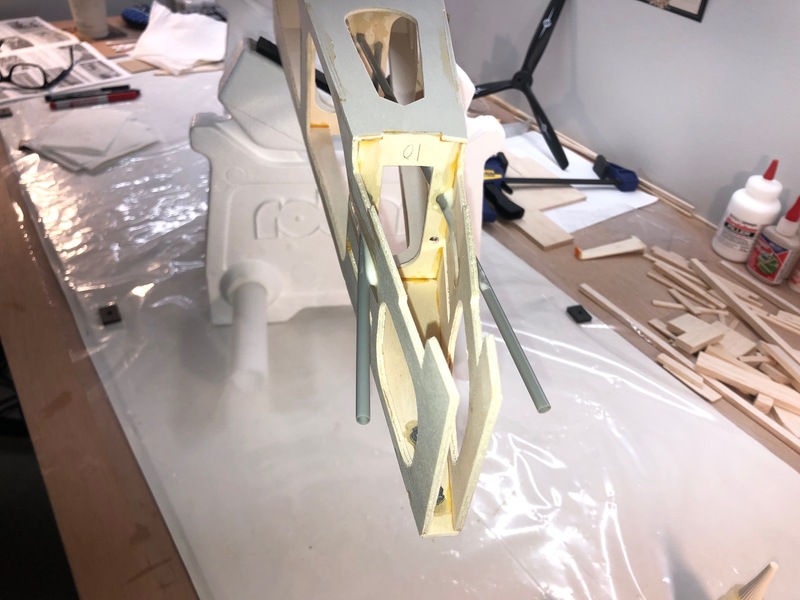 The EAA teaches that at the composite Sport Air workshop, which is excellent if you ever have the opportunity to take it. It came out good, the other slot will be for the pull pull cable and some air vent exits. 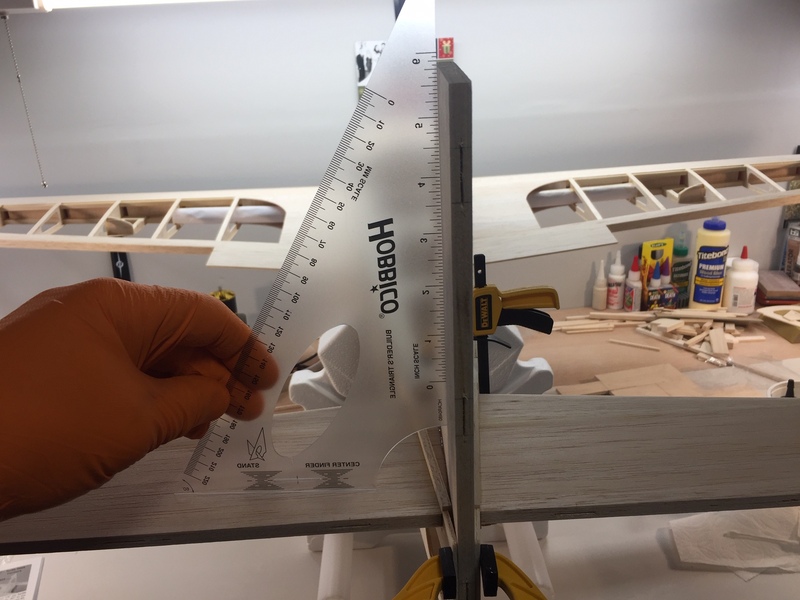 Working on mounting the horizontal stabilizer today during the Super Bowl. Got it epoxied on and the alignment looks good, just letting it cure now. Looking good! For the epoxy & micro balloons I usually go with 15 minute epoxy. The 5 minute variety gets thick and hard to "shape" too quickly for my needs. We had our "Snow Day" here in the Seattle area today! 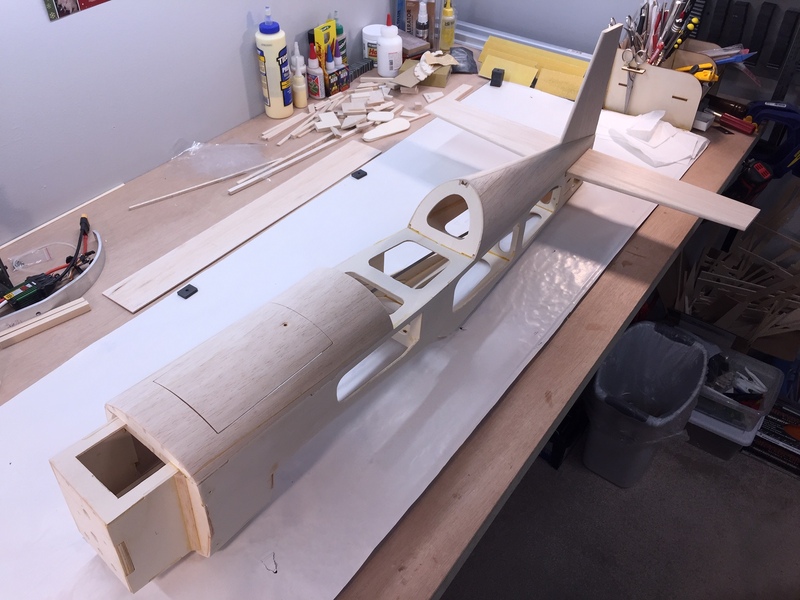 We usually only get one snow day a year and it came on a Monday, so I took the day off and finished the tail section. It came out perfectly! It is the first time I have had a tail come out so exact, I guess I am getting to be a better builder. I'm very happy about this and now I can go to finishing the turtle deck and start to mount all the servos. 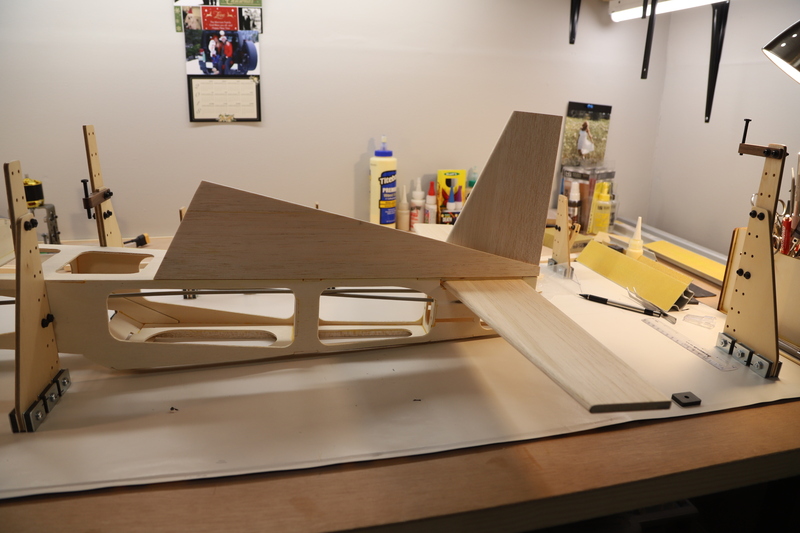 It's starting to look like an airplane now! 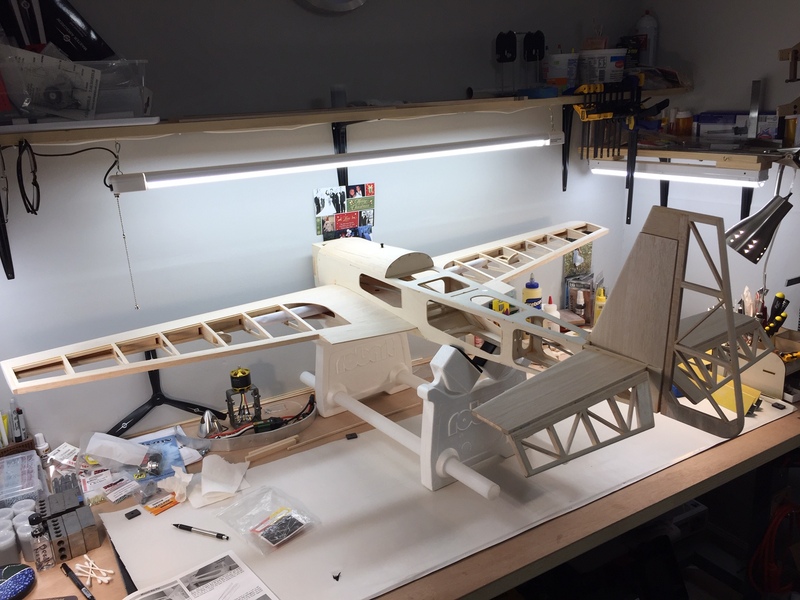 Now I know how guys can build a kit in a few weeks or a month, they don't work...I am moving right along today with a complete day off stuck at home and if I had a few more snow days I could finish this thing! 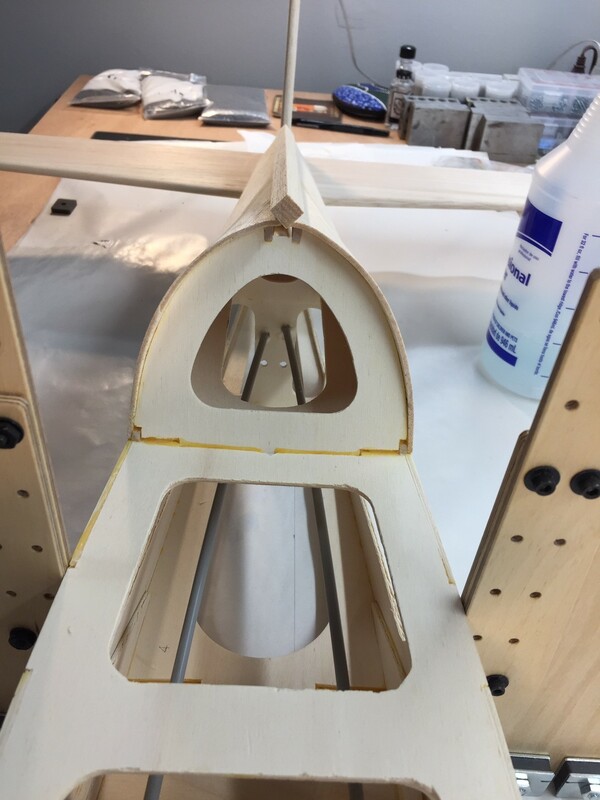 Working on the rear turtle deck now. 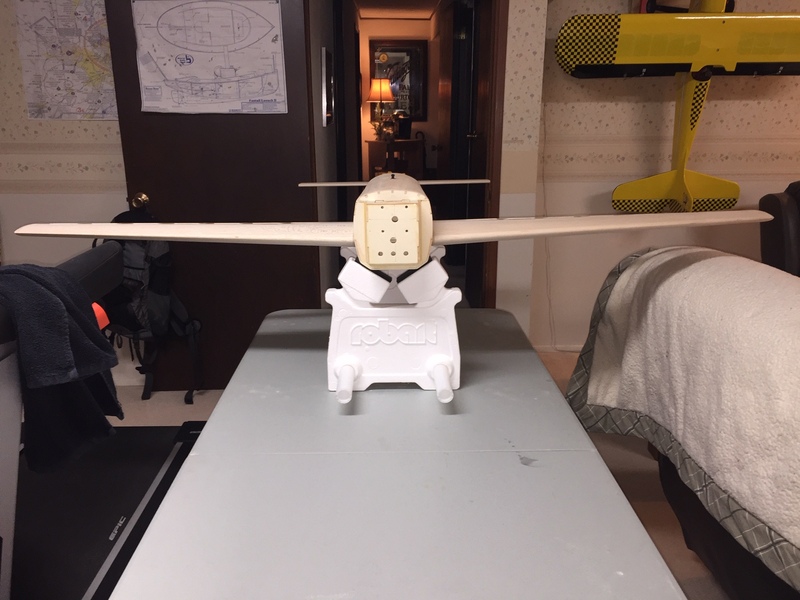 My ARF has the aileron servos in the tail with a 3" connecting rod directly to the elevator. 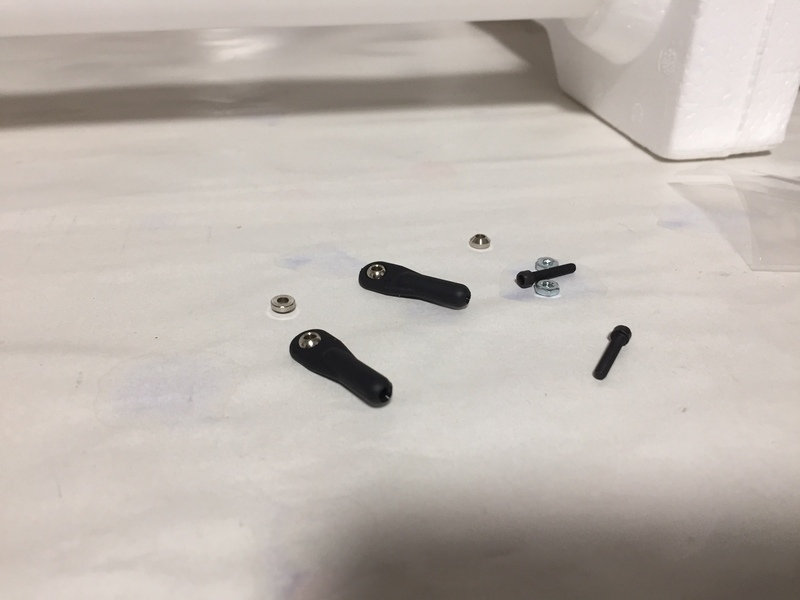 Is there a reason you didn't mount them further back rather than working with they nylon tubes? 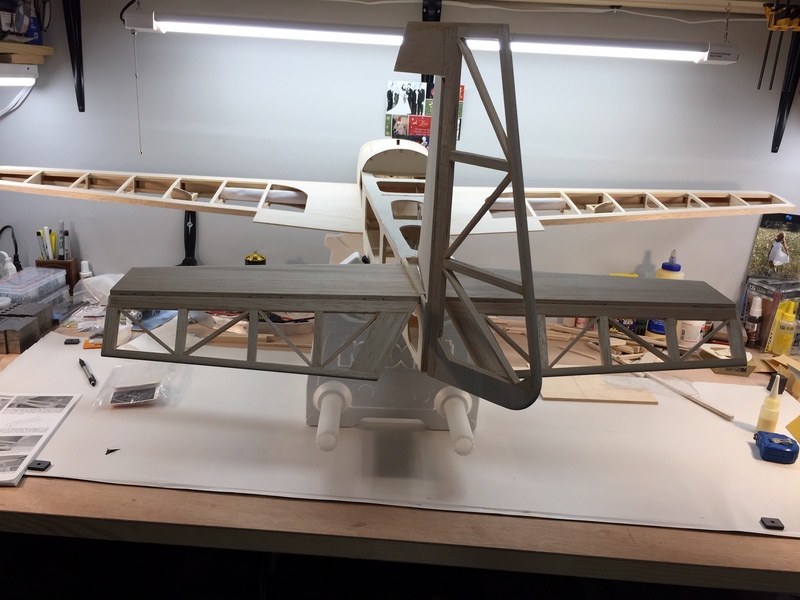 I built it per the plans for the elevators, but some guys have mounted them in the tail to balance when using a 90-1.20 size gas motors. 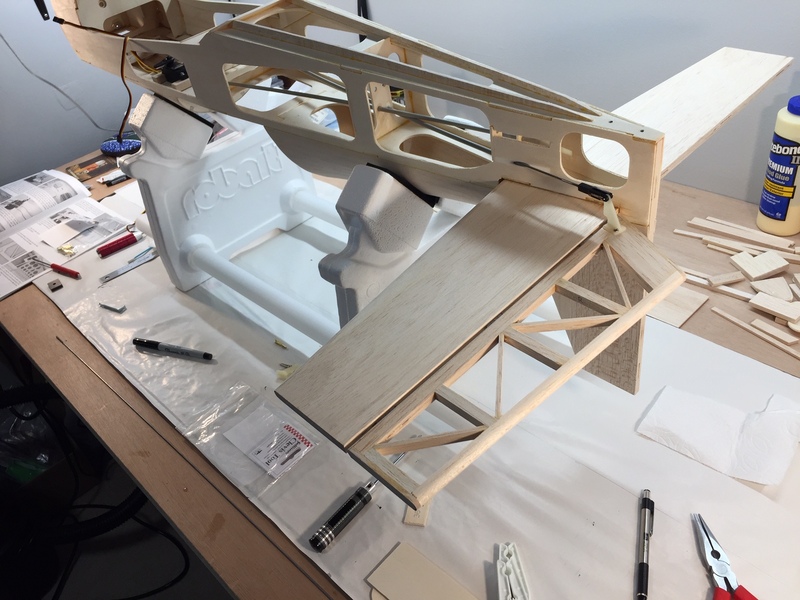 I think per the plans looks more scale and hides things better and using one servo per elevator will help with any flex in the rods, plus most others say it works great like this. It's not a 3d plane, but if it were, I would move them closer. 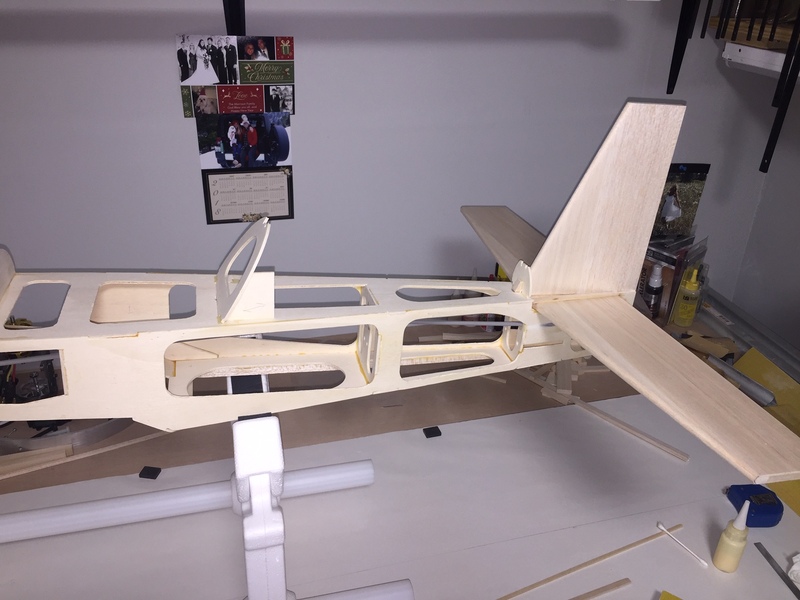 I'm using pull-pull on the rudder for more scale like look too. I had to go back to work at my job, so on with the slow progress... Working on the rear turtle deck some more, after this the construction will be finished and then just need to finish up the electronic stuff and start covering. Finally getting some more work done as I'm home early from work due to a big snowstorm moving in our area and maybe 10-12" around our house. We live on a big hill, so this can make driving interesting. 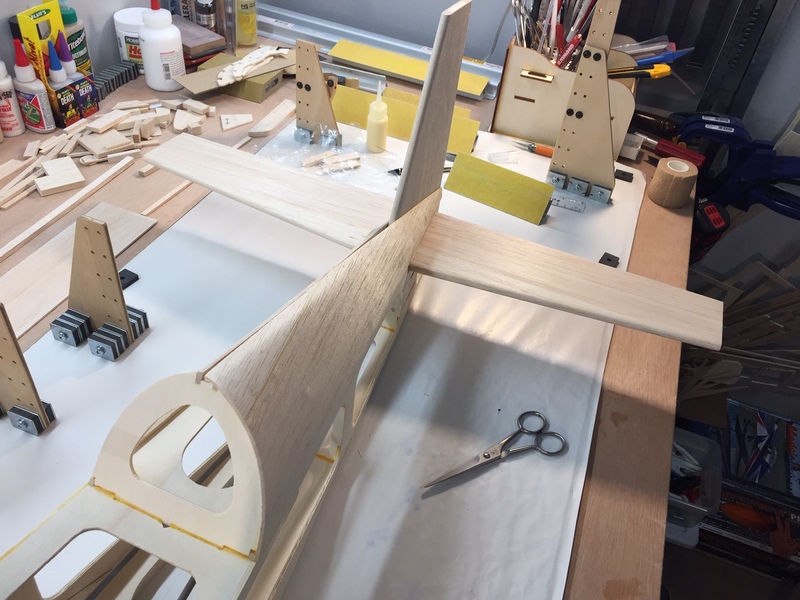 Anyway getting the turtle deck sheeting started and letting the first round of glue dry before wetting and bending some balsa. Got the rest of the turtle deck sheeting bent with ammonia and water mix then glued on and cured. Then had to sand and fit the top stringer and glue it on. After it dries I will sand it to the shape of the turtle deck for a nice finished product. It seems like a strange way of doing this, but I can see the finished turtle deck looking good, so I guess it works. Such an awesome hi-tech build it's been amazing to see the progress so far. I can only dream of achieving this kind of build - but we can dream can't we! Thanks, it's not that hard as the kit has pretty good step by step instructions, but this one does have some hard build steps. The electric modifications are a bit complexe though. 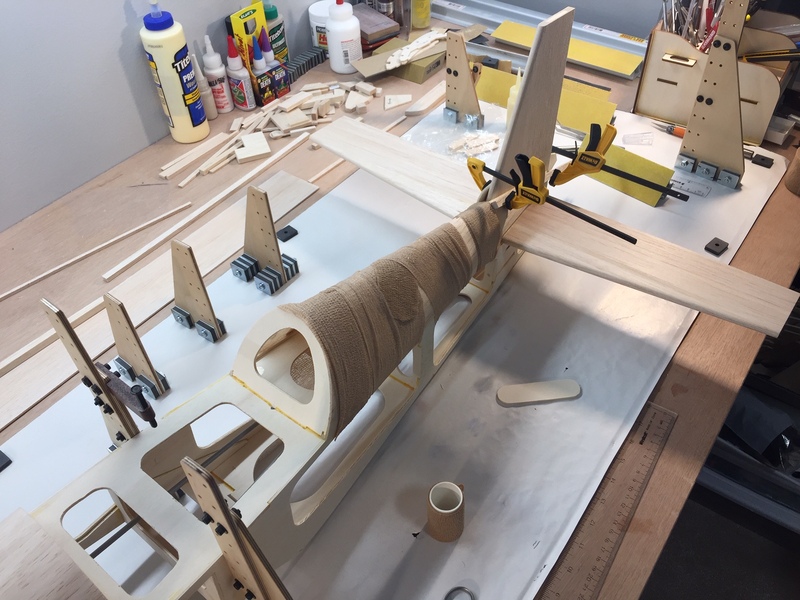 The last plane I built, the Alien Super Dragon, was sure a whole lot easier being laser cut and designed for electric power. 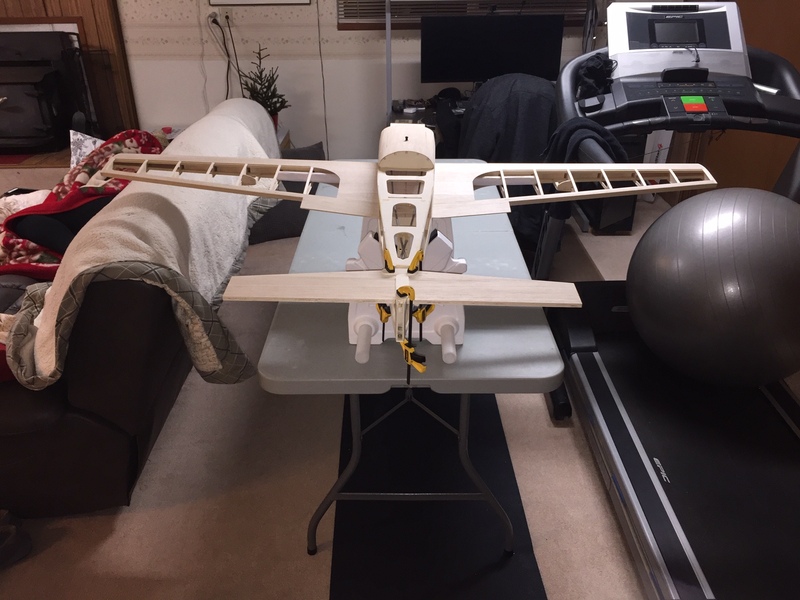 For the most part the fuselage is finished, I just need to mount the servos and battery tray, but first I need to assemble everything and check the weight and balance so I can make some final decisions on location of said components. I'm still working on it a bit between working on the house. 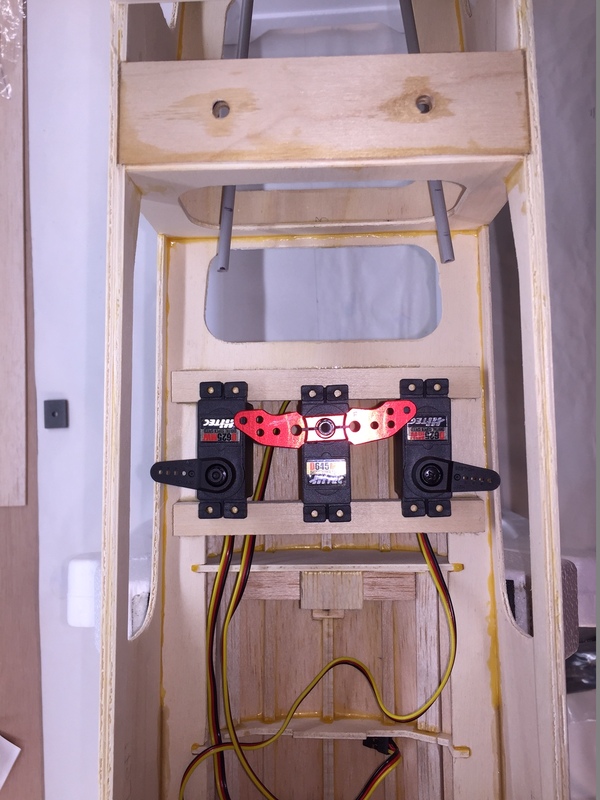 I managed to get the servo rails epoxied in, they wanted you to CA them in, but I feel servo rails deserve a little more than that with all the torque they will experience. 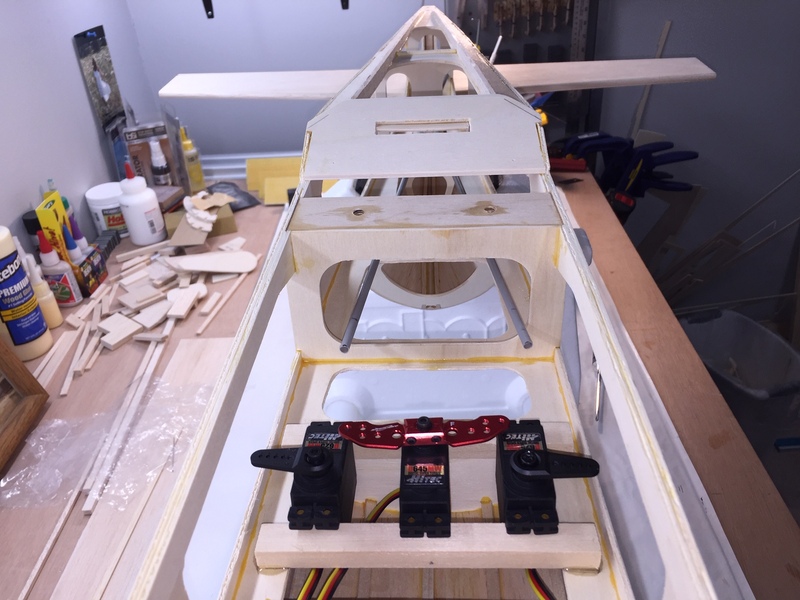 I have the servos sitting in their preliminary positions for now until I figure out how to do a pull pull set up for the rudder. It will be my first pull pull and I have been reading a lot on how to do it. 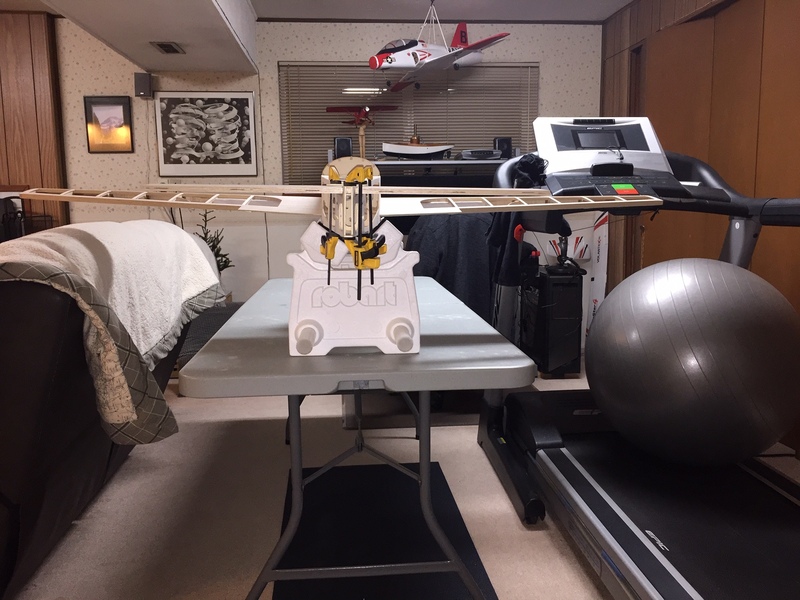 I think I will shim the servo up a bit to raise it above the twin elevator servos and align it better with the rudder. Looking great. 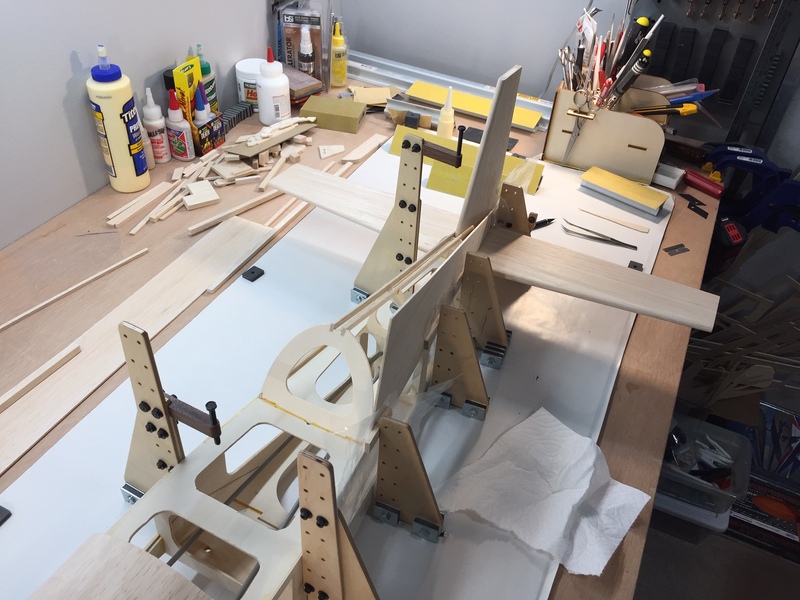 I'm following your build with great interest. 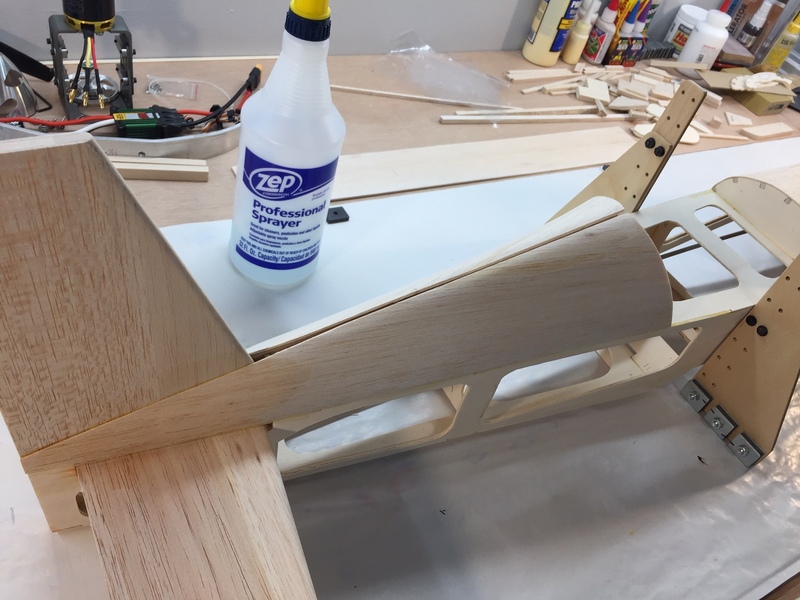 Don't belittle CA glue strength. 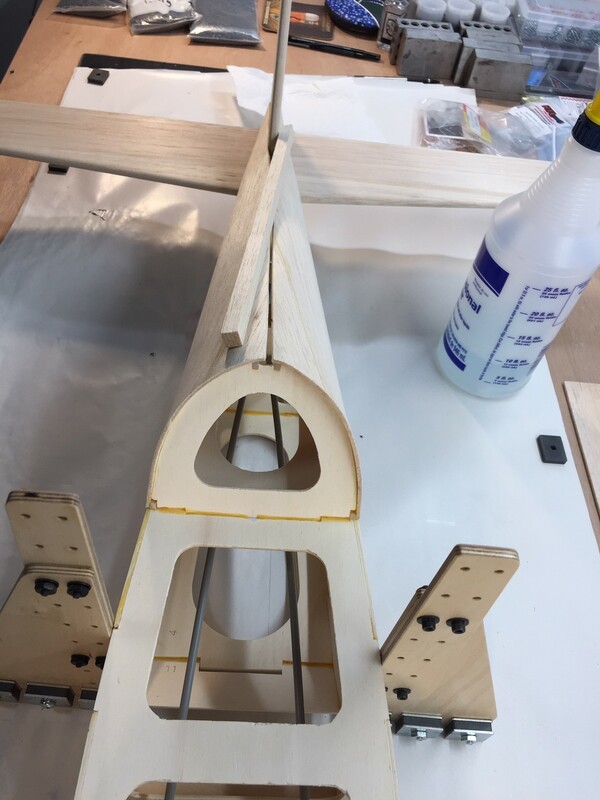 CA glue can penetrate the wood better than epoxy and makes wood stronger. 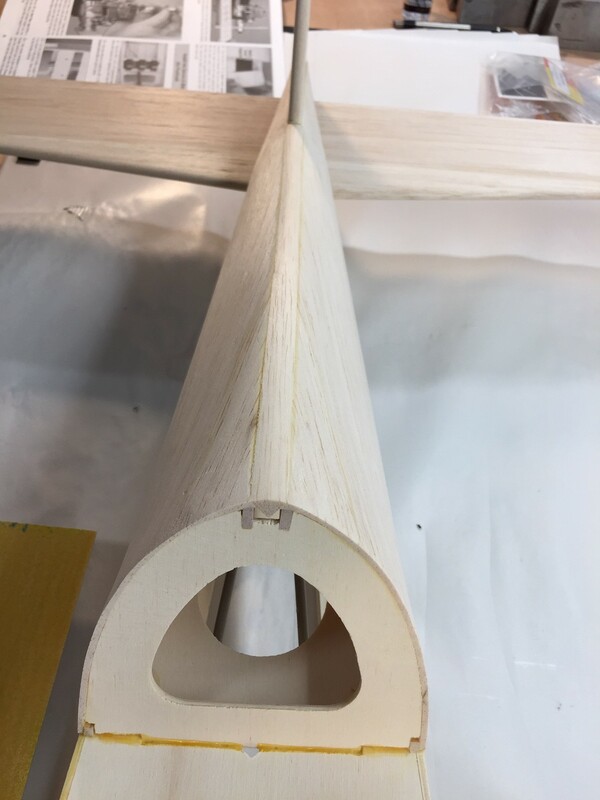 A proper CA glue bond will be stronger than the surrounding wood. CA is lighter but not as good as epoxy at filling gaps. For the pull pull system the Sullivan 2-56 Aluminum Ball Connector with locking sleeve don't seem to be the best choice as they spring up to hold the ball in place as you can see in the picture (I plan on using one on top and on the bottom as the wires will cross and not touch this way). I am not sure if this will cause slack in the wires as I think you want the wires to be as straight as possible, but then I thought maybe it would keep the wires tight if there was any slack. In any case I will be using the Dubro 2-56 ball links as I have seen others use these with success. The Sullivans do look nice and if anyone has any experience with these please chime in. I think they are more geared towards solid control rods and not wires. I'm crawling on progress as we are prepping the house to get it on the market, but I am managing a bit here and there. 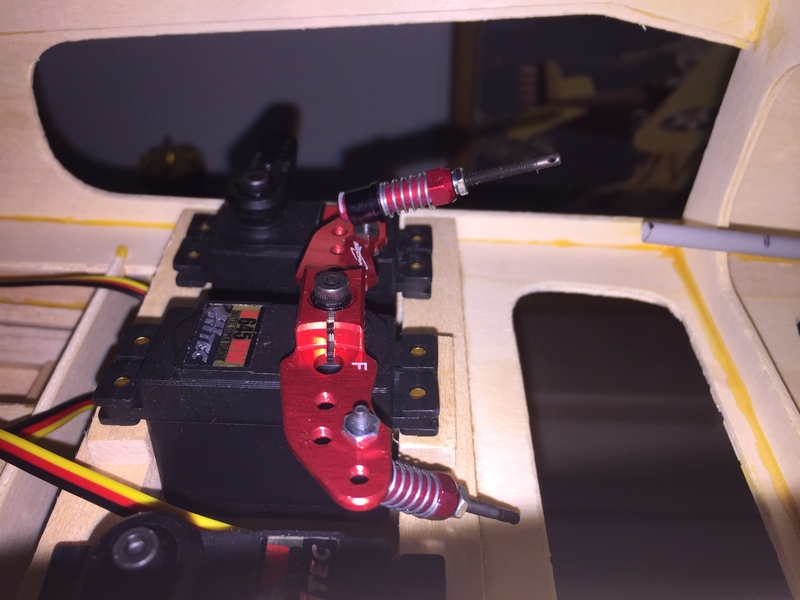 Tonight I started on the duel elevator servo setup and nearly completed one side. I'm going to solder on Sullivan Golden Clevises at the servo end as I like them for thier safety clips you install instead of a piece of fuel tubing. 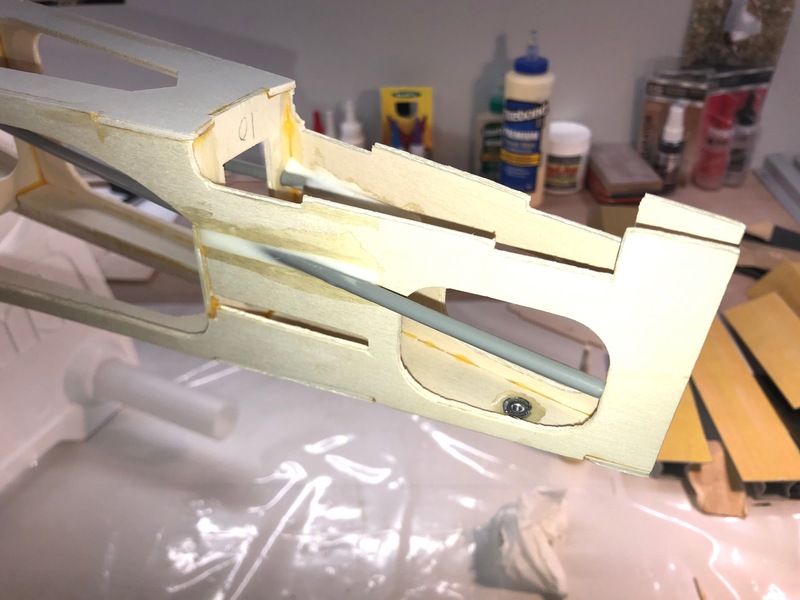 I still need to glue in part 36, pushrod support, and then I will remove the rear clevis, remove the pushrod and solder on the front clevis, then install the pushrod from the front after covering. 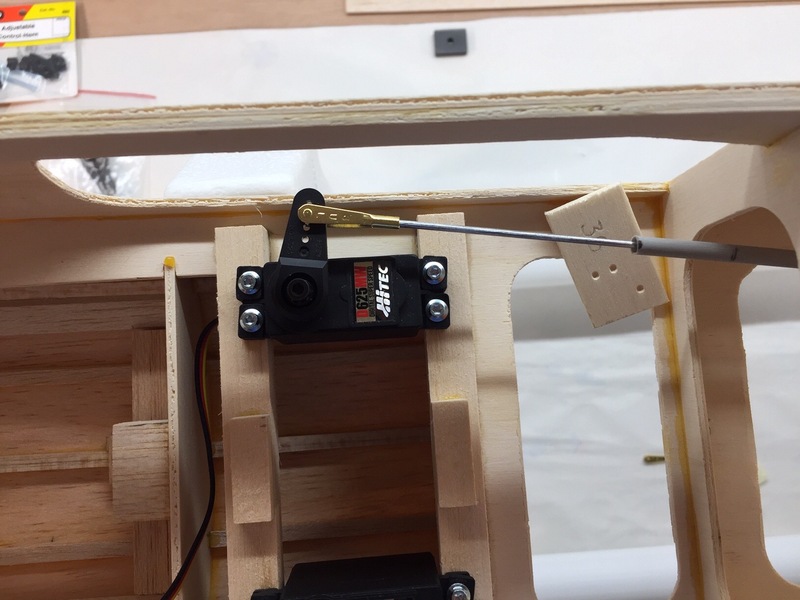 Notice in the picture that the pushtube is at a 90deg angle to the servo arm (servo is centered), thats how it's done correctly. I have also crossed the linkages (pushtubes/pushrods) to achieve the straightest run possible.